When the NBA Finals start Thursday, the pressure will be on, among other things, Steph Curry’s knee. The Golden State Warriors have other great players on their roster, but Curry is the best — the reigning league MVP and the best shooter of his generation. So the only thing that a team that just played the best regular season in NBA history might have to worry about is their point guard’s medial collateral ligament. Curry sprained the MCL in his right knee when he slipped awkwardly in a first-round game against the Houston Rockets. And although he returned to play in the next round, speculation persisted that his MCL might be holding him back. It could be one of the few X factors in the finals outside the Xs and Os when the Warriors face off against LeBron James and the Cleveland Cavaliers. For a player like Curry, the MCL is a particularly important ligament, and one of the treatments he sought for his injury remains, well, scientifically unproven. The MCL is one of four ligaments connecting the femur bone to the tibia at the knee. It helps keep the knee stable as it moves from the outside to the inside. So the lateral movements that allow a twitchy dribbler like Curry to get past the guy guarding him and go to the rim or to juke a defender to open up a shot are going to put pressure on the ligament. “His injury was mild on the sprain scale, but, because of what he does, it ends up having a huge impact on what he does and what he can do,” said Rob Landel, a professor of clinical physical therapy at the University of Southern California. Athletic trainers refer to what’s called a “valgus” position — that’s when the knee is turned inward toward the center of the body, and the MCL stretches to keep the joint stable. Most people naturally stand in a slight valgus position, meaning they are putting a little pressure on their MCL without even trying. Playing basketball just adds to that stress, especially during the quick movements that guards like Curry rely on. You can see it in the abundant clips of Curry dribbling past defenders trying to stay in front of him. As he plants and suddenly swings the ball from one hand to the other, his knee bends accordingly and the MCL flexes. “With a crossover dribble, trying to get a guy to go one way and quickly change direction and go the other way, that kind of lateral move will likely stress it,” Landel said. Many essential parts of playing basketball put demands on the MCL — stuff as simple as jumping and landing. “There’s always a tendency in all of us, when you land from a jump, to put valgus stress on the knee,” said Dr. Lyle Micheli, director of the sports medicine division at Boston Children’s Hospital and an orthopedics professor at Harvard Medical School. Or there’s the basic physical contact that comes with playing tough defense and setting screens — if your feet are planted and somebody pushes you, the MCL is likely to bear the brunt of keeping you steady. The other factor is not physical, but mental. Petschauer and Landel testified to working with athletes who couldn’t get over the emotional toll of an injury — the fear that their next move could put them back on the trainer’s table. “They have an awareness of their body that we do not have,” Petschauer said. Adding to the intrigue around Curry’s injury is his decision to get what’s known as platelet-rich plasma treatment to help speed his recovery. It is a treatment that has been tried by other professional athletes eager to get back on the court or field as quickly as they can — even if the science proving its effectiveness is still in its infancy. It involves withdrawing a patient’s own blood and separating out what are called platelets, which are primarily responsible for clotting blood but also contain growth proteins that support healing. A concentrated dose of the platelets is then injected into the injured area. The treatment has been around for a couple decades, but has gained attention in recent years after reports that athletes including Tiger Woods and Rafael Nadal (and now Curry) have turned to it to speed up their recovery. Science, though, hasn’t definitively demonstrated its usefulness yet, according to the experts. Nonetheless, he said some physicians at his clinic have used the treatment. Because patients don’t appear to experience any negative side effects, the risk is deemed low. 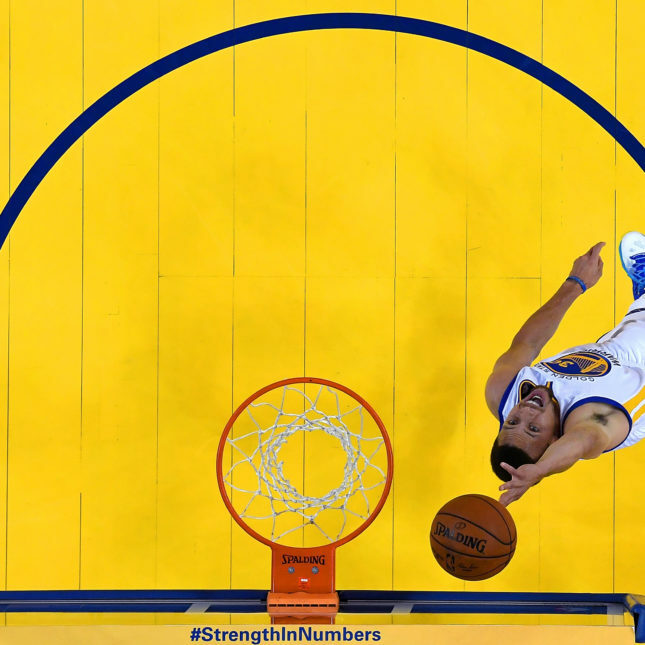 At the same time, especially for pro athletes like Curry, the upside of getting back into the game even just a few days sooner “makes all the difference in the world,” as Micheli put it. That potential benefit, paired with their ability to pay for a procedure that an average person’s insurance might consider experimental, likely helps explain its popularity with the pros.